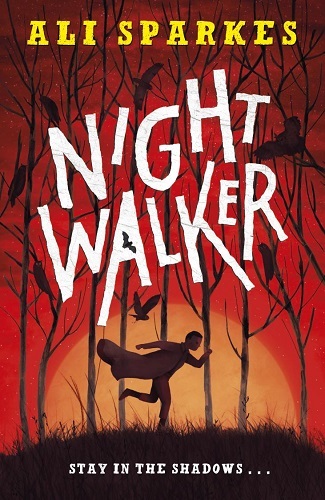 Ali Sparkes’ latest book, Night Walker (publishing on 4th April), is inspired by the incredible true story of 18-year-old Sam Taylor. On the surface, Sam leads the life of a typical teenager, going to college, working and playing football. But Sam experiences the world very differently to most of us. He has erythropoietic porphyria – known as EPP – a rare condition affecting 1 in 75,000 people, which causes abnormal sensitivity to light resulting in acute pain. It is thought the condition explains the origins of vampire folklore – but together Ali and Sam are turning this stereotype on its head. In this video interview, we discover what it is like to live with an invisible disability, and how Sam’s condition inspired the mysterious hero Spin. Who are the Night Speakers and where did the idea come from? 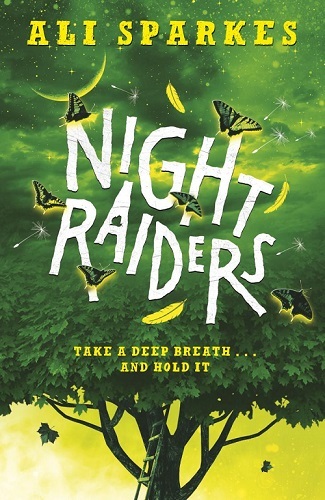 The Night Speakers are three kids – Elena, Matt and Tima – who have nothing in common. Elena’s the good girl at her school, in Year 8. Matt is the bad boy in Year 9. And Tima is way too posh to go to Harcourt High – she’s in Year 6 at Prince William Prep. But one night in early May, all three of them start waking up at precisely 1.34am. After nearly two weeks of insomnia, their worlds falling apart by day, they venture out into the night and find each other. I was inspired by my own bouts of insomnia which have struck occasionally over the years. Sitting by your window with a cup of tea, watching the street in the dark of the early hours, it seems anything might be possible out there. Maybe even animals you can communicate with… and who will communicate right back. What animal would you talk to if you were a Night Speaker? Spin is such an interesting character. Why does he live in the shadows? Spin walks through the Night Speakers’ world as a vampire. He resents their presence in his domain… but he’s also fascinated and begins to stalk them to find out why they’ve invaded his darkness. As the series progresses, the true reason for Spin’s moonlit life begins to emerge – he has a rare condition called erythropoietic porphyria that causes abnormal sensitivity to sunlight. Spin’s biggest conflict is to decide whether to help the Night Speakers or just mess with their minds. But first he must decide whether to ever step into the sun. What research did you do to create Spin’s character? There are a small number of people in the world with erythropoietic porphyria, who are unable to live a normal life in the day. I contacted them to find out more about their condition. Sam Taylor is my source for the reality of Spin. Sam, at just 18-years-old, lives a very difficult life, unable to tolerate light. He and his mother Claire shared so much of their world with me – and Sam even agreed to be in a short film to describe how he lives life with EPP. The truth is just as gripping a story as anything I could make up. And, like the backstory which emerges in Night Walker, it’s also pretty heartbreaking. Night after night Elena, Matt, and Tima wake at exactly the same time, with no idea why. It’s messing them up and fracturing their lives… until they venture out into the dark and find each other. And then the sleepless trio realize their astounding power. They can speak any language, and they can even communicate with animals. Since the 1.34am wake up calls began, Elena, Matt, and Tima had all had the power to talk to animals, birds and insects like no other human could. None of them would ever trade that for a full eight hours sleep. It was too amazing. But an amazing life has its complications. Like finding a body in the dark. Or having to stop the world from ending. You can fit a lot in your day when you don’t sleep. Spin has always dwelled in the darkness. He was happy to be alone, until Elena, Matt and Tima came to disrupt his night-time world. Meanwhile, something weird is going on at the hospital – children are going in, and not coming out. 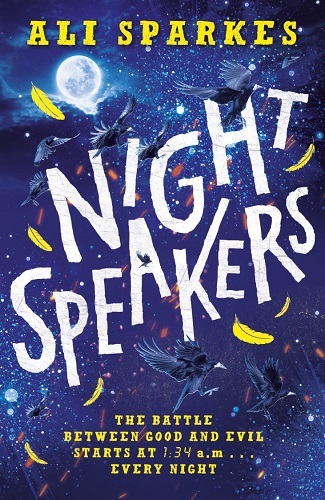 The Night Speakers are investigating, but even they, with their incredible powers of communication with the animal world, are struggling to find out the truth. Surviving the strike makes them see life differently. It also makes them notice Doug and Lizzie. Struck by lightning under that same tree on the common in 1975, the two teenagers have been hanging out there ever since. Doug and Lizzie are funny, clever, brave – and quite happy about making friends with a pair of ten-year-olds. OK, fair point, they are dead, and Doug’s trousers are worryingly flared. But you can’t have everything. 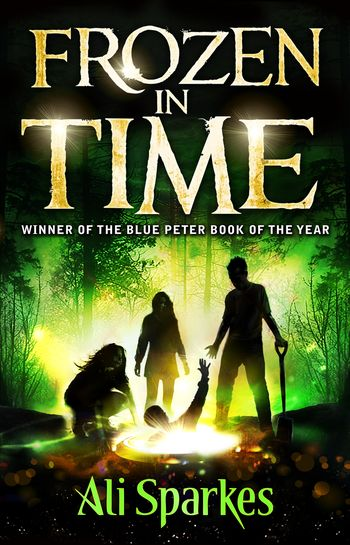 Adventure, conspiracy, and shapeshifting – X-Men meets Alex Rider in this gripping tale. Dax Jones is an ordinary schoolboy… until something extraordinary happens. 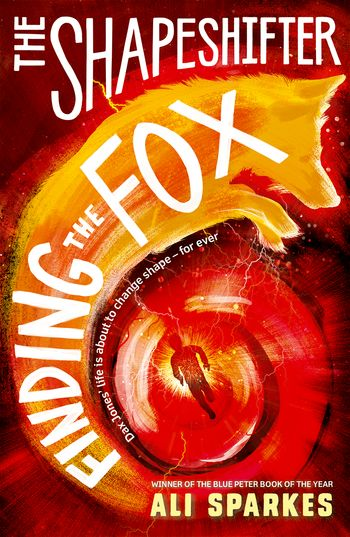 Whilst frightened for his life, he inexplicably changes into a fox! 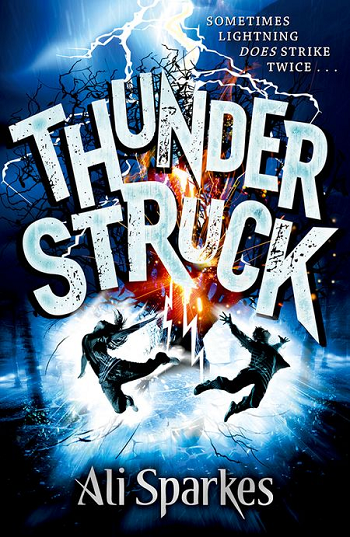 He is offered a place at a secret government school where he can develop, and learn to control, his powers. But if Dax accepts, he can tell no-one. Winner of the Blue Peter Book Award 2010.